The Ontario government has confirmed that its vision for complete communities includes green infrastructure. The province recently released four updated land use plans that aim to balance environmental protection and the need to build complete, vibrant communities as the Greater Golden Horseshoe grows. 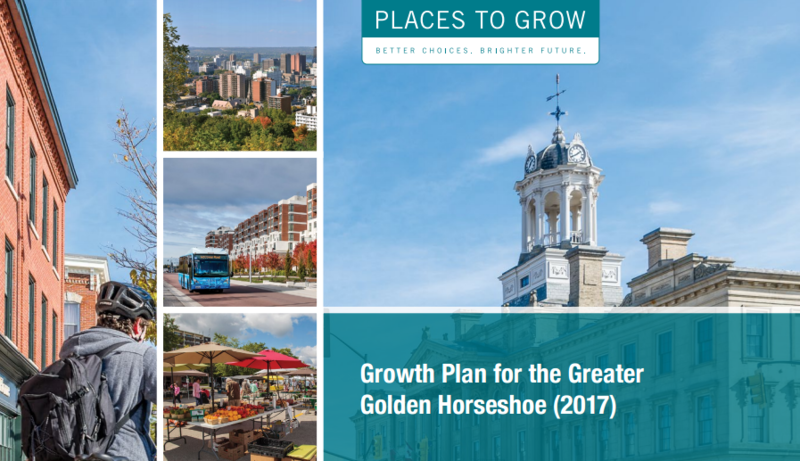 The new Growth Plan for the Greater Golden Horseshoe (2017) includes support for green infrastructure in several sections related to complete communities, stormwater management, and climate change. The province also updated the Greenbelt Plan, the Oakridges Moraine Plan, and Niagara Escarpment Plan. The Growth Plan’s first chapter focuses on managing growth. The region is projected to add an estimated four million people between now and 2041 and the Growth Plan aims to support this growth by striving to achieve complete communities. In doing so it outlines the key components of complete communities, one of which is the integration of green infrastructure and low impact development. The Growth Plan also provides a framework to guide and prioritize infrastructure planning and investments. This sections highlights the importance of comprehensive stormwater management planning, including the use of appropriate low impact development and green infrastructure, to increase the resiliency of our communities. aligns with the stormwater master plan for the settlement area, where applicable. There are a broad array of important hydrologic and natural heritage features and areas that exist across the Greater Golden Horseshoe. The new Growth Plan acknowledges these features are valuable assets and emphasizes the need to protect and manage them as such. It also highlights the important role Ontario’s water resource systems, natural heritage system, and agricultural system play in addressing climate change and building resilience. The new Greenbelt Plan, Oakridges Moraine Plan, and Niagara Escarpment Plan were also released in conjunction with the Growth Plan. From a green infrastructure perspective, these plans show commitment to Ontario’s green infrastructure network by protecting the province’s natural heritage system. However, some prominent environmental groups have raised concerns that the three plans don’t go far enough in protecting vulnerable water supplies and species at risk. Read more details here.